Love those dragons! You colored them perfectly! That die that you used to cut them out is great too! I love this Connie, gorgeous card as always. Just home from Florida and trying to catch up. Please forgive me for not commenting on all your fabulous work while I have been away, some fabulous creations as always. Awesome! Pale green or not, they are perfectly coloured. 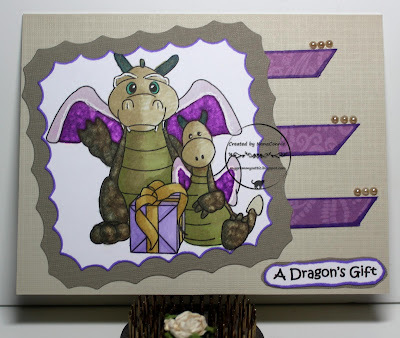 Great card and I love the colours you chose for these cute dragons.